First things first – if you’re easy offended, this first game is most definitely gonna offend you. It’s offensive in every possible way. That said, after a couple of drinks with friends, it can be completely hysterical if you can look past some of the cards. Ever played Apples to Apples? This game is very similar. There’s a judge and they read you a card. You have to select from the cards in your hands what you think the judge would pick as the best answer to their question or fill in the blank card. Trust me, it’s pretty hysterical when you get a huge group throwing a bunch of these random cards into the mix that are totally un PC. Again, if you get easily offended, I’d say pass on this one. Otherwise check out Cards Against Humanity, $25 on Amazon. A classic game we love to play with friends is Rummy Tile. 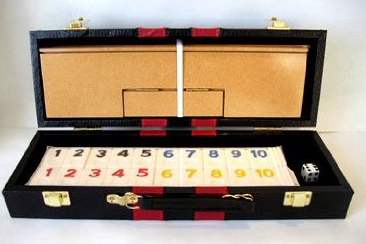 We like the old school version like this Deluxe Rummy Tile set for $24.95 on Amazon. 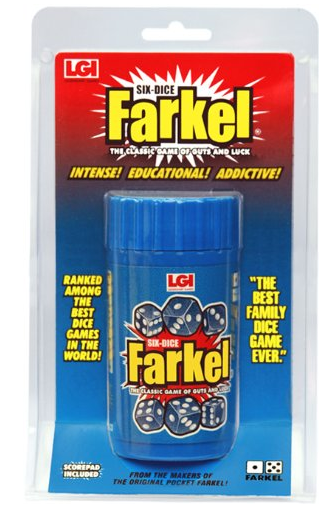 We actually call this game Greed and play it with just any regular 6 dice (which you can do) but it’s been packaged in a cute blue container with the rules and renamed Farkel, $9.24 on Amazon. It’s a quick game to learn & works for a large group. Hedbanz for Adults! 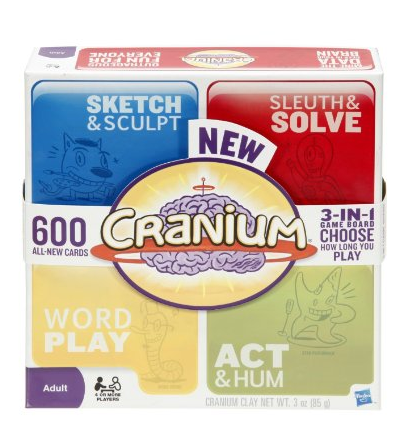 We love to play this game in the kid-version with our kids so I want to check out this Adult Hedbanz, $23.45 on Amazon sometime. My parents actually used to have a similar game when I was growing up in the 80s at their adult parties so you know it’s a classic! 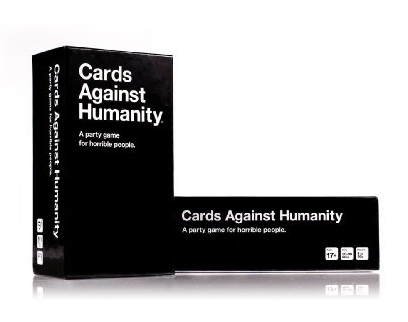 Cards against humanity sounds like a fun game! 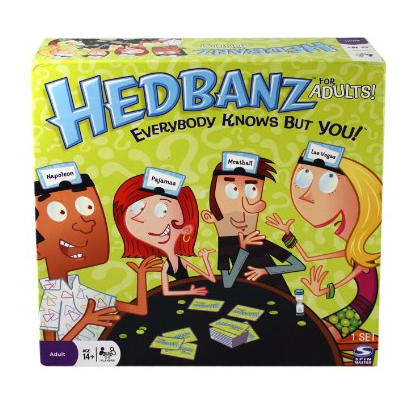 I’ve never played hedbanz ill have to pick that one up! thanks for the comment Betty! 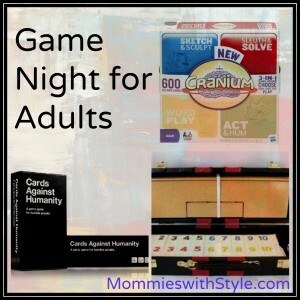 Cards Against Humanity is a BLAST – so fun for a big group!